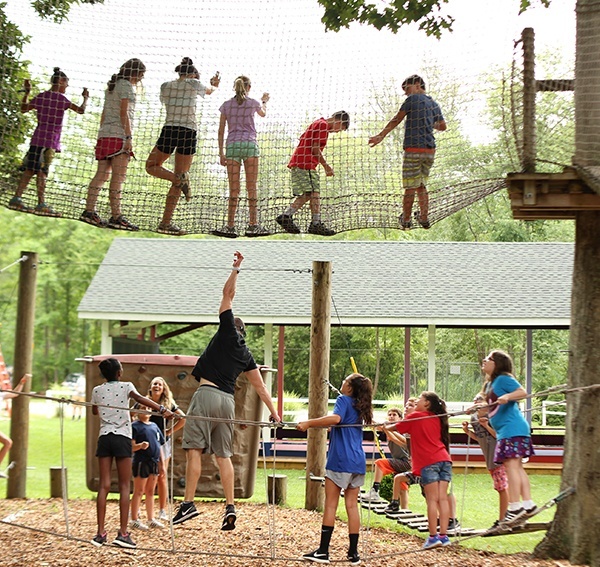 Nabby’s nature program, directed by our beloved naturalist Ranger Rick, is a focal point of our facility and a favorite with our campers. 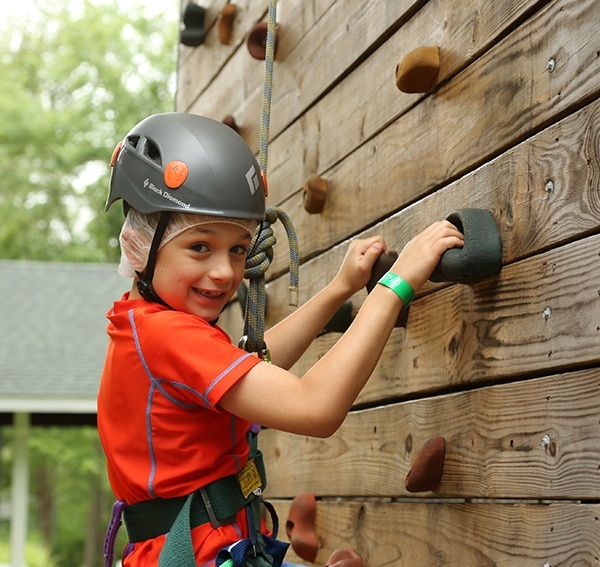 The log cabin nature center and our pristine hiking trails give kids the opportunity to get up close and personal with the natural world around them. 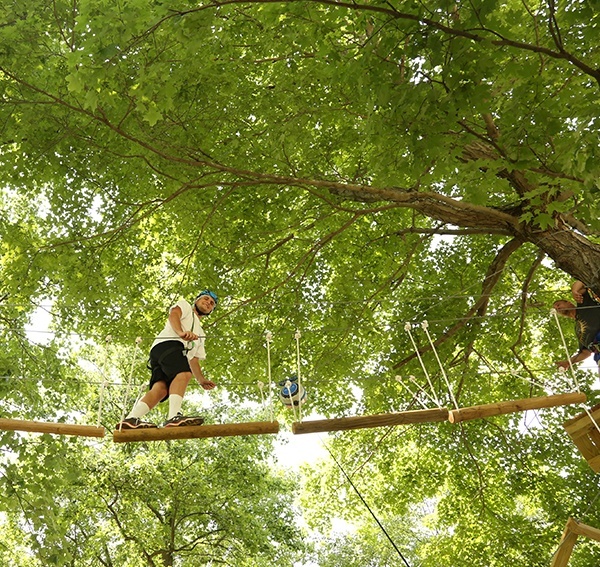 And it includes a few surprises – like live chickens, a giant teepee, and campfire s’mores! 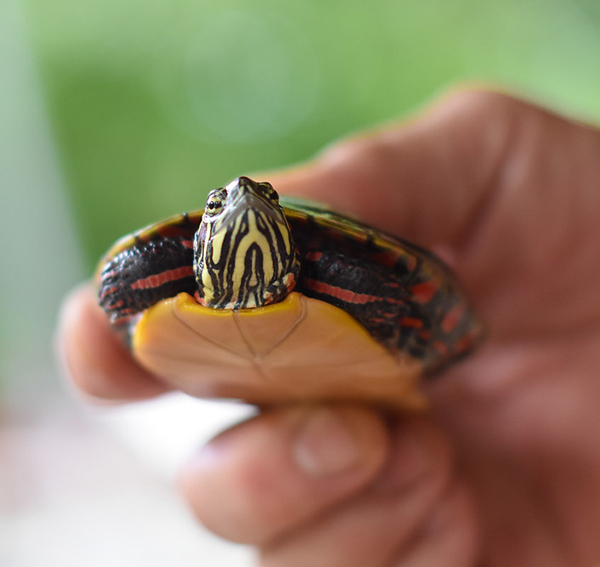 The nature center is home to a variety of small animals and reptiles. 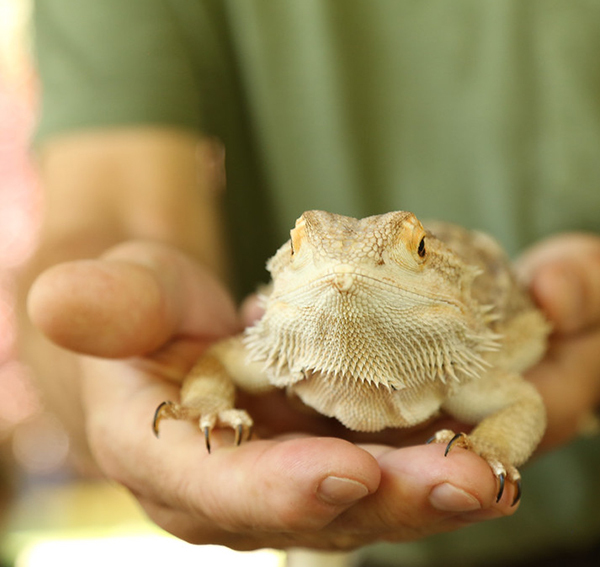 With Ranger Rick’s guidance, campers learn how to care for them, what they eat, and how they live alongside other creatures in their natural environment. Our hiking trails are lined with woodchips for easy navigation. 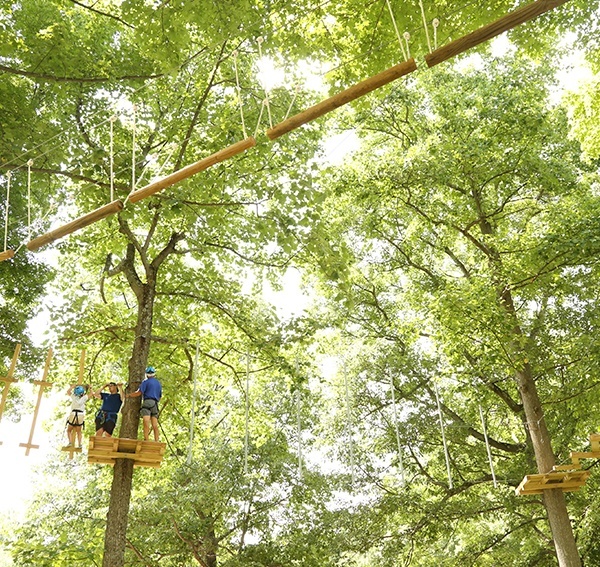 They meander into the woods where kids learn about trees, the earth, and all kinds of birds and forest inhabitants. 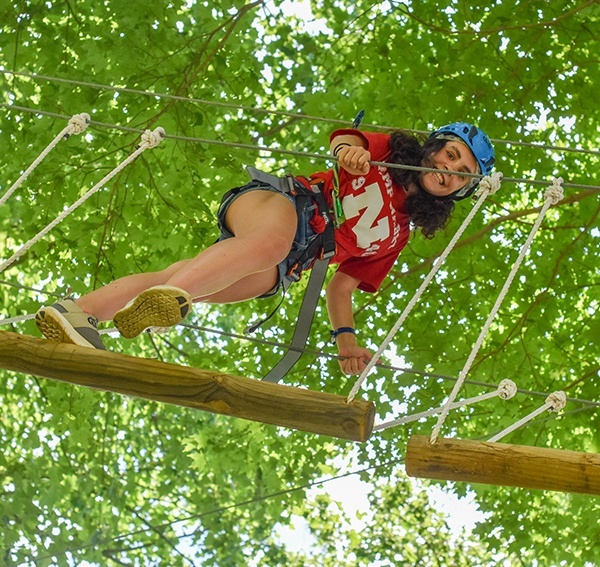 Challenging and so much fun, our state-of-the-art aerial adventure program offers campers five exciting challenge-by-choice activities. Each one is certified and annually inspected to meet the highest safety standards. 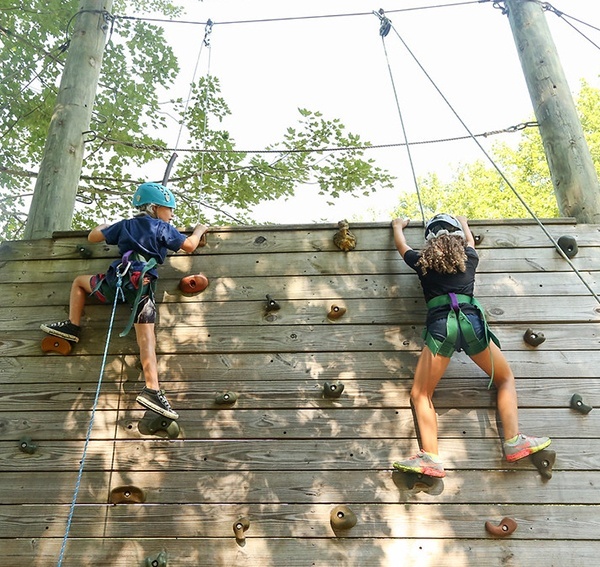 Our towering 25ft climbing wall is at the center of it all, and next to that is the foot-off-the-ground low challenge obstacle course. 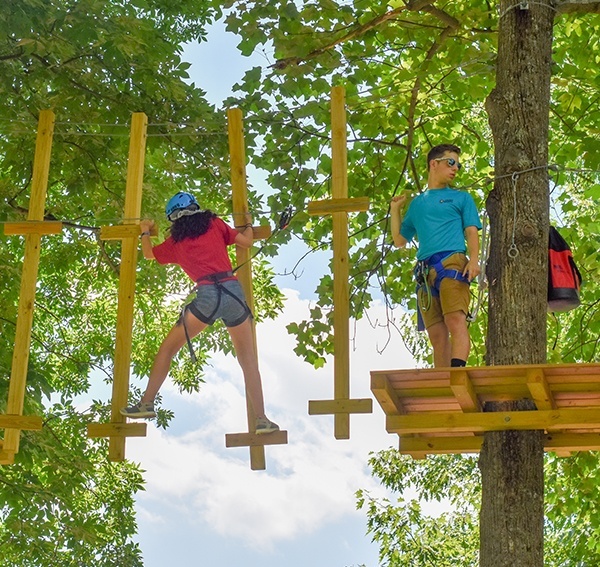 From these, campers can clamber into our split-level tree house, which is accessed from three bridges. 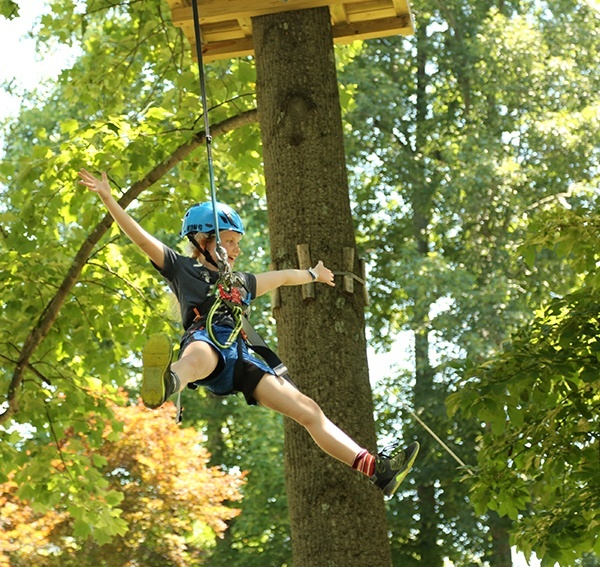 The aerial adventures continue over by the nature trail with a 120ft zip- line and our 35 ft “monkey hardware” tree climb. 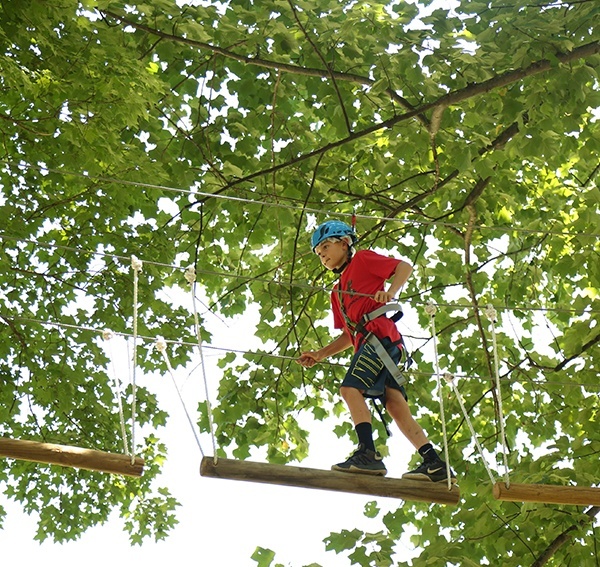 Our older, taller campers are loving the newest addition to camp: a 35ft high, 5-station ropes course. Don’t worry – it’s safety insured with a double lock cable system. 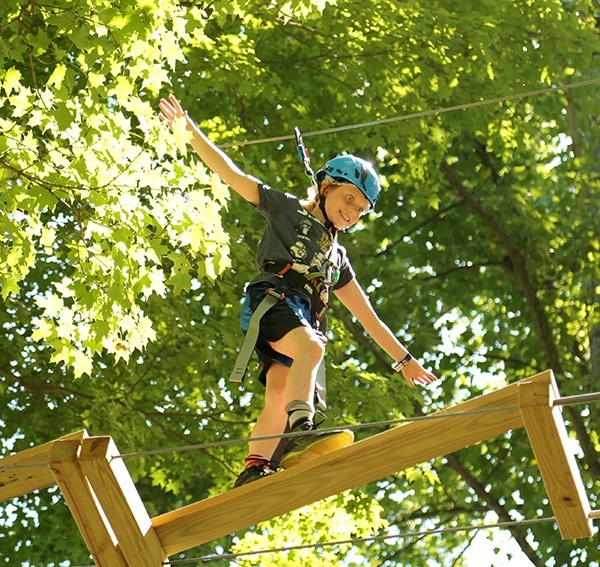 This is a true confidence builder for our most daring campers.